Look delicious don’t they? Too good to be true? That’s because they probably are! I would approximate there is at least 100g of carbs in each of these bowls, if not more, and a large portion of this will be from sugar. 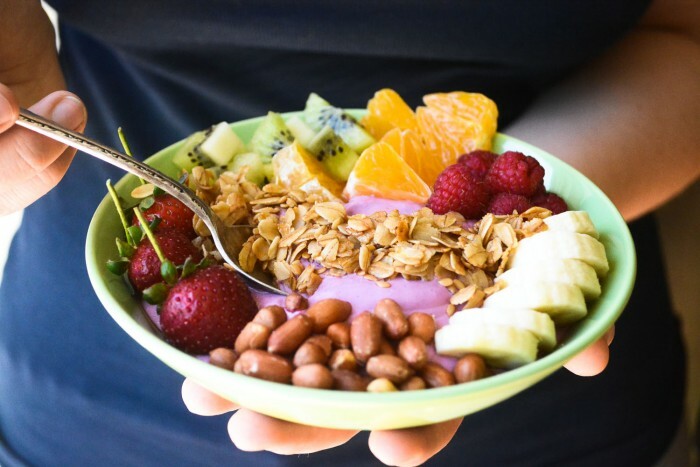 Take your classic granola, fruit and yoghurt breakfast from your local hip-healthy-trendy cafe. 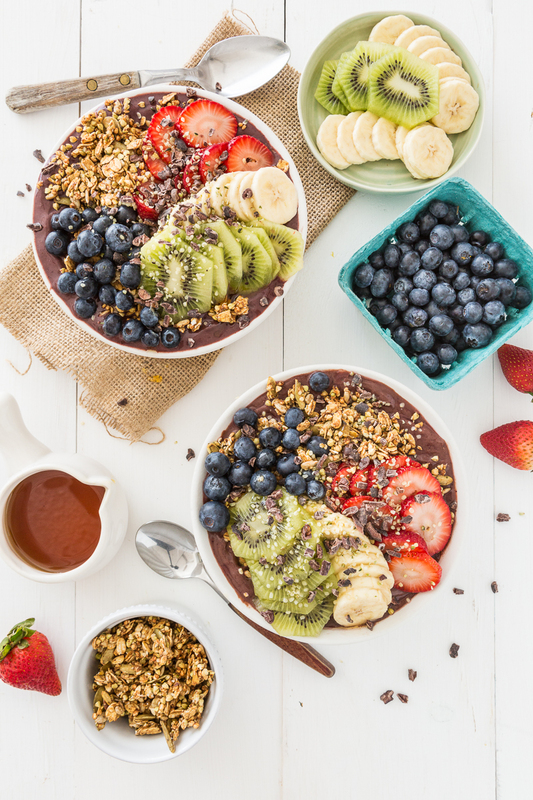 They serve it up with a generous amount of delicious toppings, such as dried fruit, some extra nuts and seeds, a drizzle of honey, some chia seeds, and BOOM your up to the same macro-nutrient break down and calories of a tub of Ben and Jerry’s. I kid you not. Total for whole granola amazingness: 1,028 Kcals, 54.1 fat, 109.2 carbs, 19.7 protein. And I’ve not even delved into adding peanut butter yet. 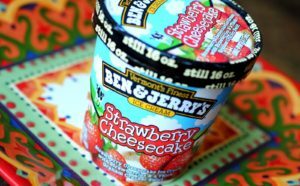 Total for a whole 500ml tub of Ben and Jerry’s strawberry cheesecake: 1, 040kcals, 60g fat, 112 carbs, 16 protein. 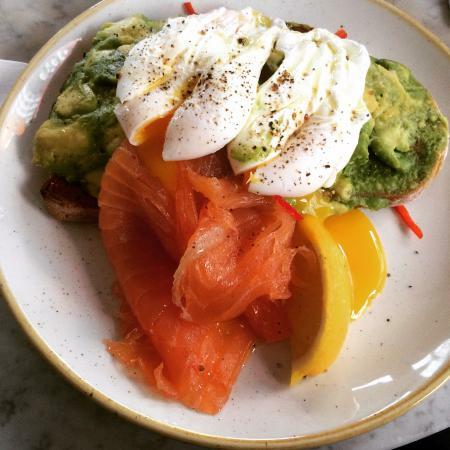 As you can see these ‘healthy’ breakfasts we see pictures of everywhere can VERY easily become an ‘unhealthy’ start to the day, bombarding your body with a huge influx of sugar which unless your about to run a marathon, you are unlikely to be burning off as a female. For a small female like me, this meal would take up more than half my daily calorie allowance! Now with my macro-tracking skills I COULD, in theory, work this meal into my diet, but it would mean starving myself for the rest of the day if I wanted to make sure I wasn’t going over my calorie allowance. 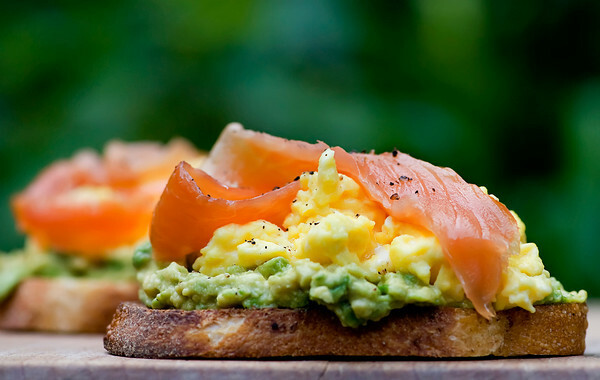 Next up we have a classic avocado, eggs, smoked salmon, sourdough super-seeded bread, and feta combination. 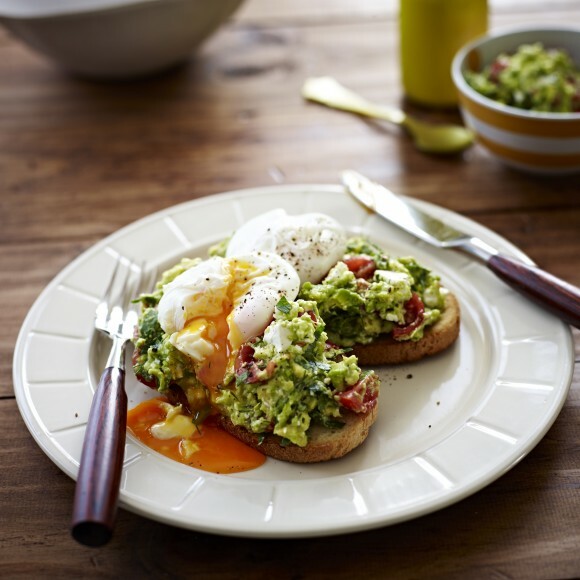 This meal, whilst slightly better than the granola, still racks up to about 700 kcals. It has roughly 38g carbs, 43 fat, 42g protein. Throw in a Chai Latte and were not all that far-off the macro profile to the Ben and Jerry’s again. Although this meal would be much more filling due to the higher protein content, it could easily fill up an average sized females fat allowance for that day. So what DOES constitute a healthy breakfast? What would I recommend to eat in the morning? 2. Steer clear of granola. And most other yummy cereals unfortunately – frosties, museli, coco-pops, special K, anything with clusters, fruit and nut = SUGAR, SUGAR, SUGAR! Unless you know it is low in both fat and sugar (which is quite hard to find I assure you!) Your better off with going for something plain like all-bran or porridge and making the toppings yourself. Or use very small amounts of the sugary cereal as a topping to something else rather than the base of the meal. 3. 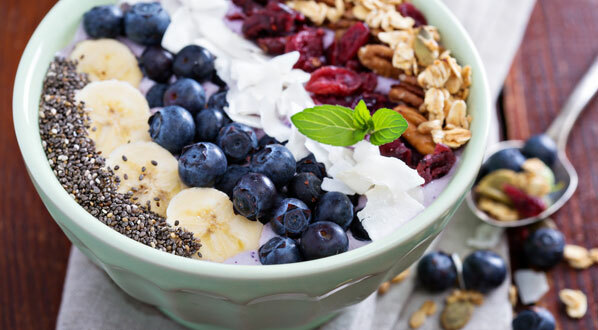 For toppings: Fresh berries are WAY lower in sugar than most other fruits (such as apples/bananas/pears/melon/grapes) and I would try to avoid too much dried fruits as they are also packed with sugar – although a tiny sprinkle here and there would not do a great deal of harm. A small amount of honey is also fine in the grand scheme of things for most people too, but if your trying to lower your carbs there plenty of sugar-free syrups out there, or you could use stevia to sweeten your breakfasts. I also add chocolate flavoured protein powder, cacao powder and a very tiny amount of 90% dark chocolate to make my porridge less bland and become a taste-sensation! 4. 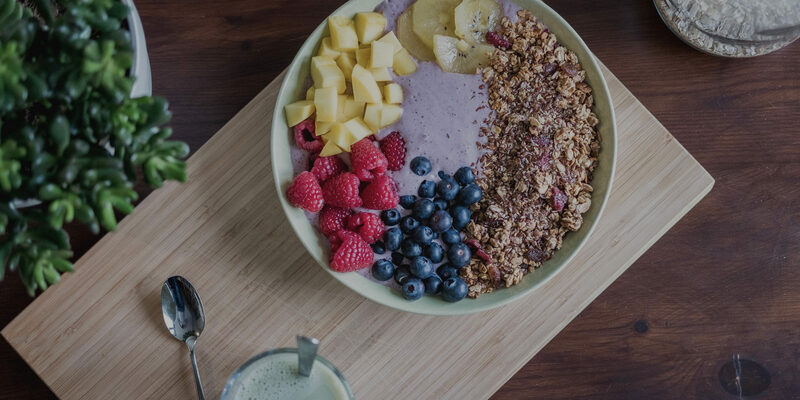 Don’t be fooled by terms like ‘superfoods’, ‘gluten free/refined sugar-free/fat-free/dairy-free’ and ‘fibre-rich’ – this does not mean they are lower in calories or by any means ‘healthier’! 6. Drink your coffee black with a splash of unsweetened almond milk instead of semi-skimmed milk and some stevia/sugar-free syrup! If you stick to these guidelines you should hopefully avoid the Ben and Jerry-equivalent fiasco breakfasts. And as always, my best advice is always to learn whats IN your food, rather than assuming that something is ‘healthy’ because it is marketed as so!